Chris Teaching Slavica and Ogi how to ties a wipping. 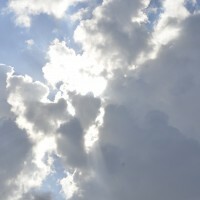 It was obvious there was more rain coming. 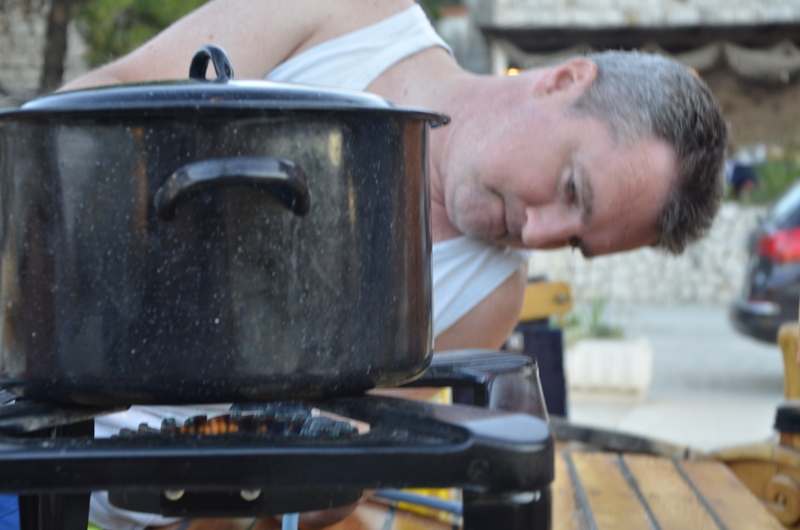 That evening Orsat cooked dinner. Orsat is a professional mountaineer and a sailor I have known for many years. He is an excellent climber and knows his way around camp stove. He made a dinner of polenta with tomato sauce and vegetables and a few other ingredients, which I can’t remember… Needless to say anyone under 21 would not touch their dinner. I knew that we would have to hide the cookies and other snacks since the kids weren’t eating. 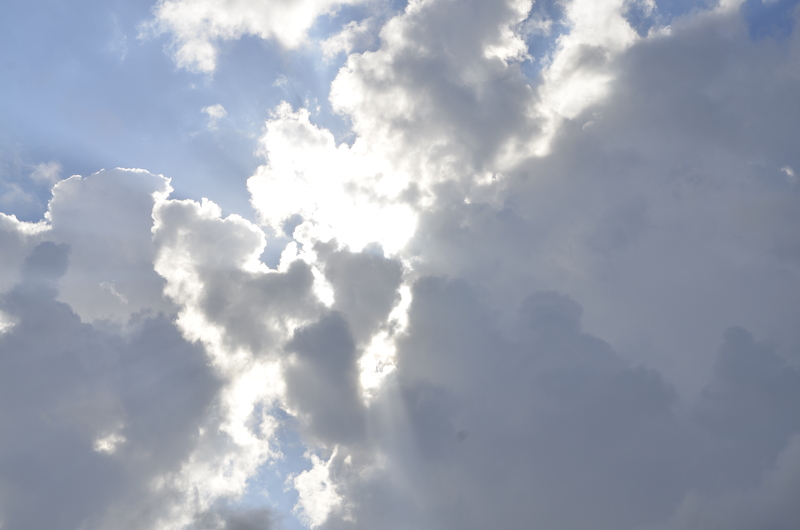 As the sun fell, it was clear that there were more thunderstorms coming. We decided that there would have to be an anchor watch through the night. Every hour on the hour the students would take turns looking out to see if there was any problems and doing a log to record wind speeds and direction. Each student got their assigned time and their instructions to wake the captain if: 1. The boat was closer than 5 meters to any other boat 2. The wind speed was greater than 20 kts 3. If bearings changed to indicate the anchor was dragging 4. If they noticed any other problem. Paval and I checked the anchor and let out a bit more scope for the night. The way the boats in the anchorage were swinging, it seemed like that no matter which direction the wind came from we would be all set. When I lay down I felt comfortable. I knew we were in the hands of the students and that that they were going to be up all night keeping a close watch on the boat and the rest of the crew. It was around midnight that the first thunderstorm hit. I heard the winds increase and it started to rain. There was a big thunder crack and as soon as the rain started coming down most of the students were awake. 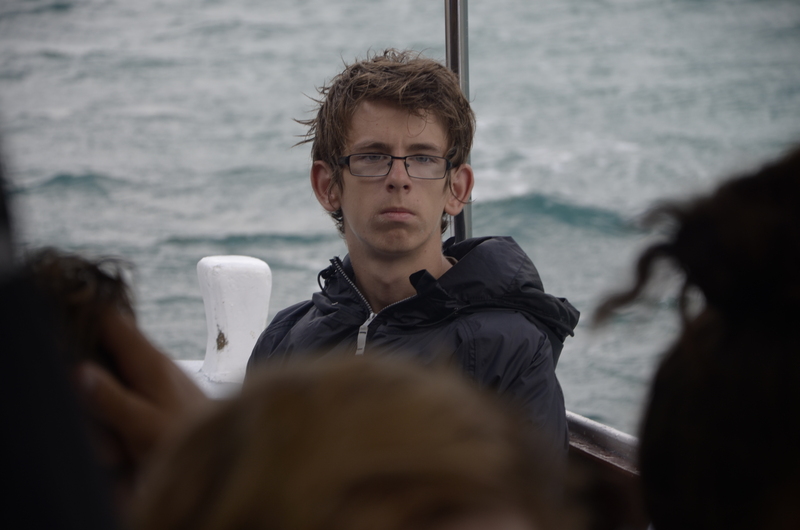 Throughout the night there was a steady conversation that could be heard from the deck of the students talking to each other and discussing the proximity of other vessels. When I woke up 2-3 times during the night I was relieved to hear the students talking amongst themselves. There were several squalls. That came from different directions swinging the boat on mooning and stretching the anchor chain. By dawn, the sky had cleared I could hear the clamor of the crew stretching out lines putting all their wet clothes up on deck. Sleeping bags, t-shirts, socks, pants, the boat looked as though we were selling used clothing rather than watermelon. I surprised the students when I came out of the bunk and stretched my arms up in the sunshine shaking off a solid night sleep. 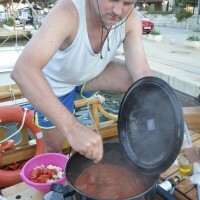 They were even more surprised when I started the engine and started to pull the anchor. I knew that if we stayed in the anchorage we would spend the day miserable trying to dry out from the long nights rainstorms. 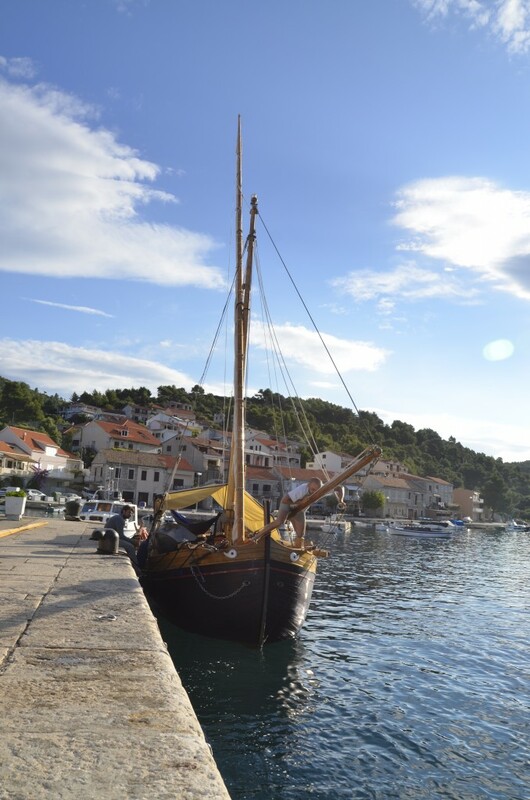 The best thing to do was to set sail for Korčula where we would surely find some beautiful bays and places to swim. All the other people in the anchorage were still sleeping when we hauled our anchor and got underway. 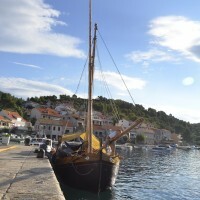 We lifted the lanteena and set sail for Korčula. It was beautiful to see the sails unfurled. The wind was light, but the sun was warm. 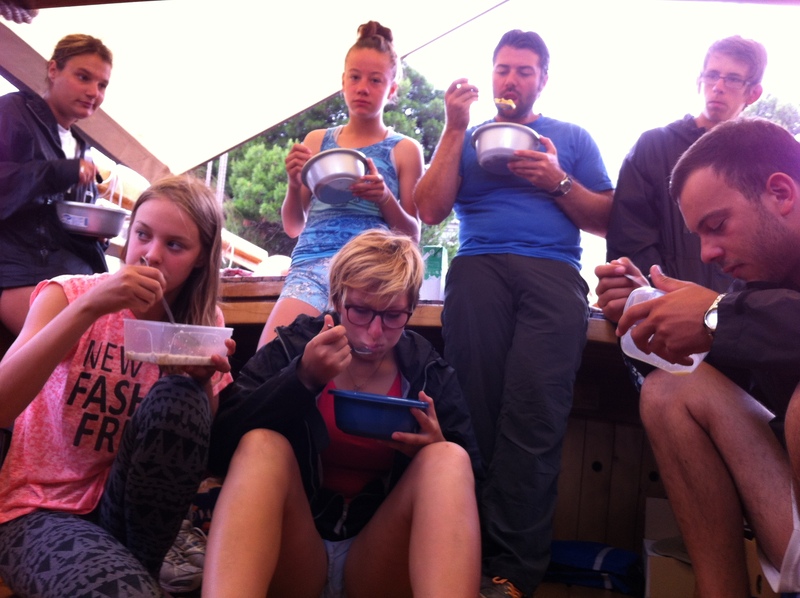 Everyone was happy, eating breakfast, and sitting on deck still somewhat bewildered from the previous nights experience. 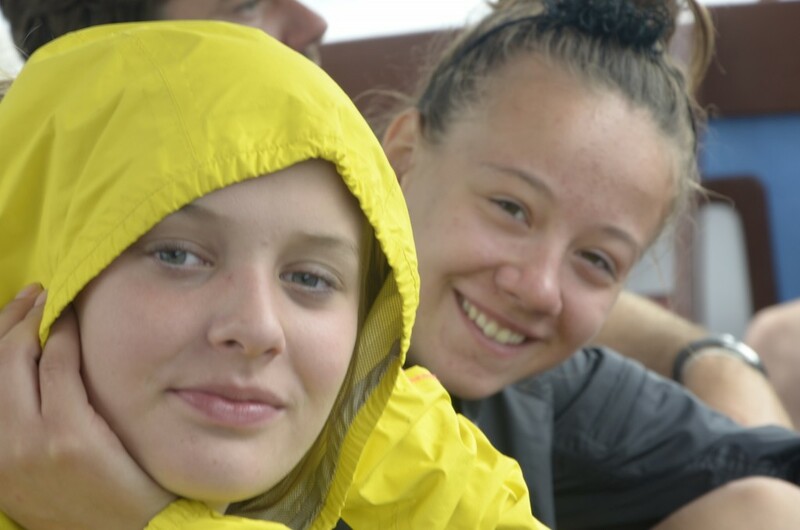 At the end of the trip when one of the students was asked what was her favorite part of the trip she told them, “the night when I was on watch during a thunderstorm.” This to me is total success! I had imagined that she would say some beach or beautiful harbor, but this was not the case. 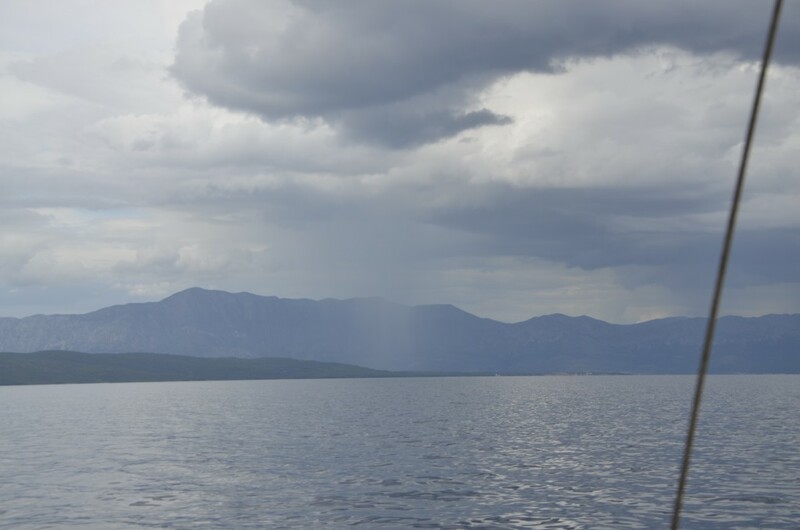 It was the anchorage in Lovisšče when the wind was blowing strong and the rain was coming down in the middle of the night. 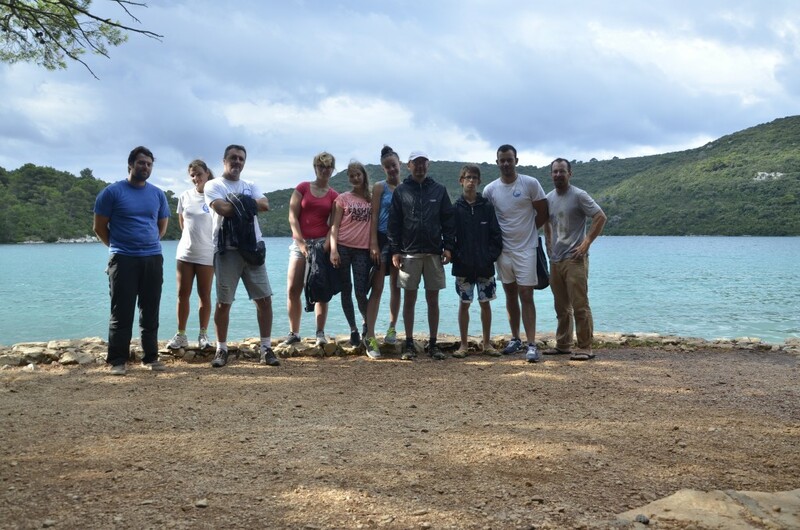 Now, as we were slowing sailing towards Korčula, it was all behind us and everybody was happy, feeling stronger for surviving what would be our biggest storm of the voyage. 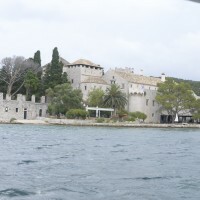 Korčula is Paval’s island. 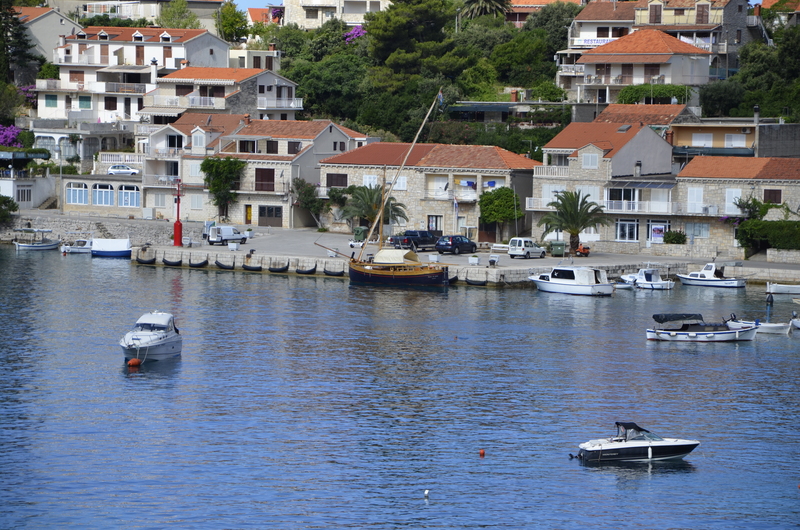 He was born there, raised there, and everything about his being says Korčula. We were, for two years now, listening to stories about how nice Korčula was and we were almost there just a few more miles to go. Even now, he was talking about the different places we would visit. I was happy to find out that the first place we were going to see was a bay where his cousin had a house, with crystal blue water and a sandy bottom high perfect place for a swim stop on this beautiful morning. 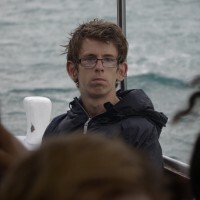 Normally I live by the philosophy of no expectations, but over the two years sailing with Paval, I think I had built up a pretty outstanding picture of what it would be like in my mind. Well, I have to say, he was right. From the first beach, to the hospitality of the locals everything was perfect. The water was clear blue, In Croatian they have a word for this Modroska boja, sea blue. In English we have this saying too, but our sea is not this color. 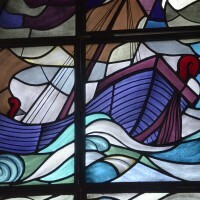 As we anchored up every on jumped in the water, from then on the magic continued. We sailed through a beautiful chain of islands. On the shore were lovely well kept boats and then we came to Brna. Paval’s home town. The bay had two fingers, one had the town…our destination, and the second was empty, just one house a nice beach and of course, modroska boja. We play a little joke on the kids and told them this is where Paval was from. Most of the adults could not keep a straight face. After the anxiety of being stuck in a small village with no welcome party wore off, we pulled anchor and scooted around the corner. We had a delightful welcome in Paval’s Village. All the students were relived to find a beautiful village perched on the hills overlooking the bay. It was superb. Not only did Paval’s family come to see us but there were several other people there. One of them was Jadranka, who I had met on the island of Palagruza. She was a friend of Captain Gamulin and was excited about our expedition. Being from Korčula, she said she would come by with a gift. She had a big box of homemade cookies! We started to unload the watermelon and pass them out. There was a festive mood on the dock as everyone learned about our trip. The café owner seem to want to trump every one when she came down to the dock with a giant carton of ice cream must have been at least 6 liters. There was no stopping them. The kids instantly grabbed spoons and started to dig in. During the trip there were a couple of times we decided to wait for dinner. This time it seemed that dinner would be delayed as we all sat around pawing at the giant box of ice cream. 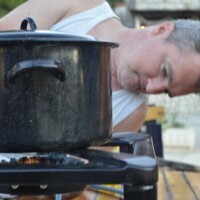 Paval said that this would not be a big problem since tonight there was a traditional dance in the village of Smokvica. (Smoke-Vits-a) The word Smokvica means fig in Croatian. He said his cousin would be dancing with a troop of dancers that perform and ancient dance that is only from this island. It is a mix of acrobatics dancing and even a bit of romance. Later that evening his cousin who had met us on the dock earlier, now showed up dressed in the clothing of a noble man from the 12th century. It was really cool. All the student were gathered around. We pilled in cars and drove up to the top of the mountain, to the village of Smokvica. When we arrived everyone was dress like Paval’s cousin. Maids and maidens swirled around the square and the troop of dancers were amazing to watch. 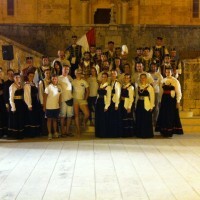 Even Chris got puled into the dance as he was chosen by one of the maidens to accompany her in a dance in the square. We all cheered as our crew member, an american made a valiant effort to swing through the steps of the dance. After the dance was over there was food on a large table and the crowd swarmed to get a piece of the action. Unfortunately, the tourist who had showed up were taking up most of the space and it was difficult to get anything to eat. By the time the crew made it to the table most of the food was already gone. I guess not eating dinner was a mistake. The next morning everybody met us at the dock. We started to get ready to go. As we were cleaning up, I decided that it was time that we emptied our port-a-potty. As it came up on deck, there was a major malfunction in the Port-a-potty and it spilled all over everything. I was mortified! It was in front of everybody. Like I had just wet my pants, every one was silent, then they started to laugh, then a little concern. 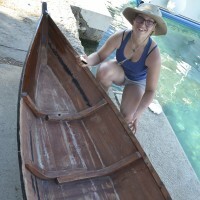 We didn’t know that the thing that broke was just a minor mistake, but we had to take everything off the boat at the last minute and prepare, clean, wipe down and sterilize all the things on the boat. Luckily it didn’t land on any of our watermelons! I was so embarrassed, Paval’s family came to say goodbye and they ended up helping us spray the boat down. It was sad to say goodbye and to go on our way but that’s what we had to do. As soon as we got everything back into the boat and cleaned up nicely, we got underway. We looked at each other and took a big sigh of relief that it wasn’t that bad after all, it actually a relief to be at sea again. 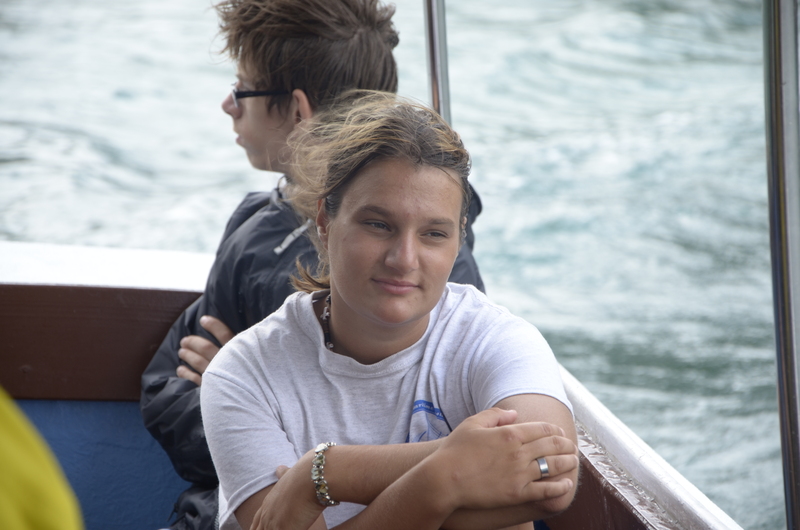 Throughout the trip Kate (Kah-Tay) had been very interested in navigation and the using charts. She had learned some of these skills before in the high school she attended which was a Pomorska Skola or Maritime School. While she had learned some of the basics, she never really applied them. 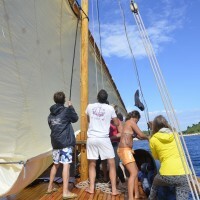 Here we got the opportunity to practice some of the things that she learned as we sailed through the islands. Kate also helped us teach the other students. 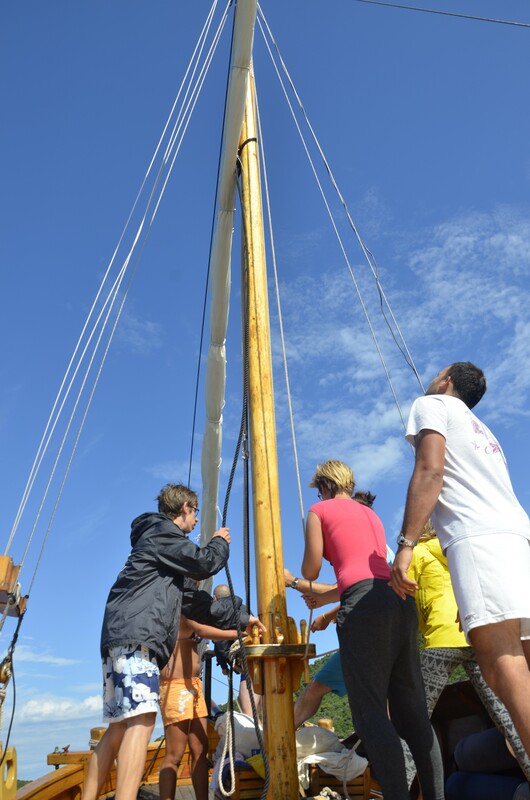 We taught them some of the basics of navigation, knot tying and sail handling. Later on when we got back to split, Kate and I worked together and studied the finer points of navigation and seamanship to prepare to take a captains test. 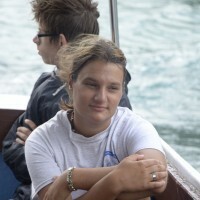 On July 28 Kate successfully passed her captains exam and got her license. The forecast was not that good. Again it was calling for heavy rain and strong south wind. 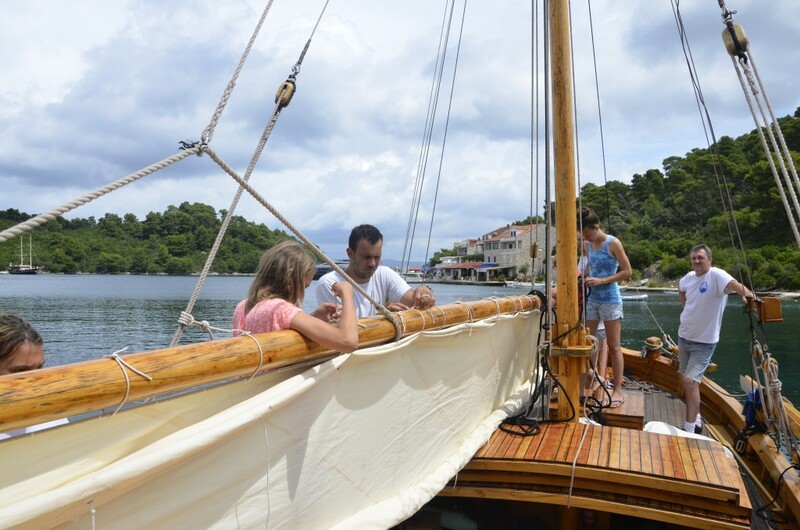 We decided to sail to the island of Mljet (Mil-Yet). There we would be sheltered from the southerly waves and gusts that would be coming up the Adriatic. 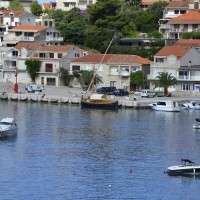 This would also be a great stop since we would also be able to visit Mljet’s national park. That afternoon, there was not even a hint of bad weather. 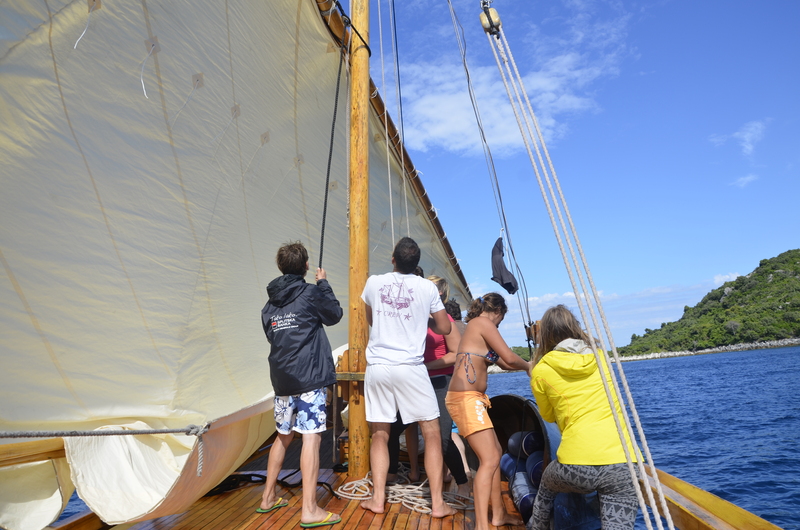 We all went for a swim in the sea, and got a chance to do some maintenance on the Bracera and Trupa. We split up into groups, some students worked on painting the little boat while others fixed the cleats. 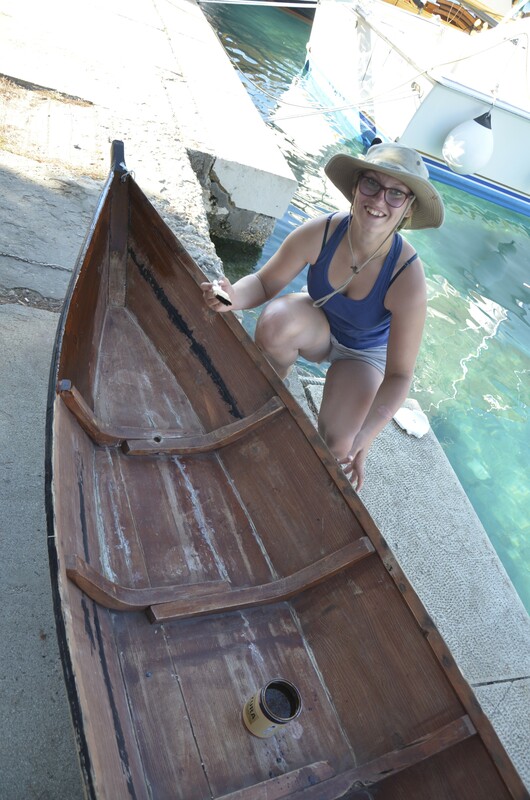 I always find that students like to do maintenance, In the past, I thought that students would not like working on boats, but that was never the case, and today was no exception. 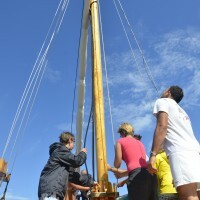 Students dove right in and before long the trupa was covered in a fresh coat of paint, the ends on all the halyards were whipped and cleats were varnished. 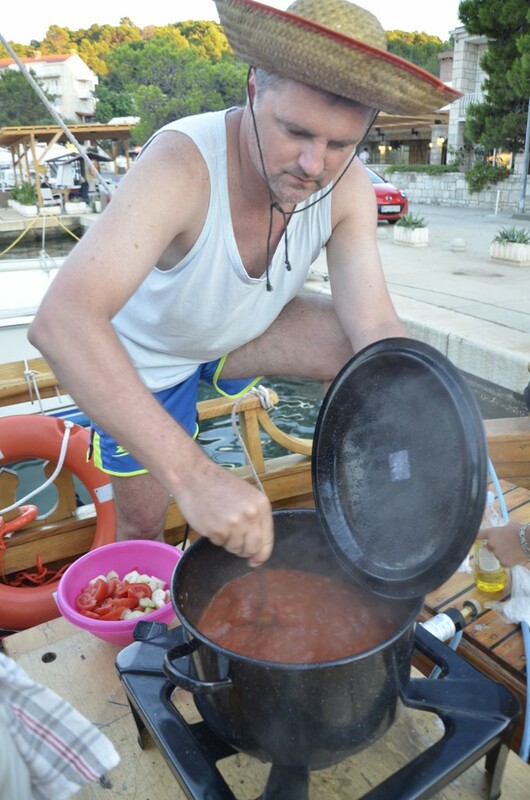 After our chores, we made dinner right on the boat it was kind of funny being in front of a restaurant cooking on the boat. It seemed like we might set up some table and feed the locals as they passed the boat. It started to rain some time in the night. 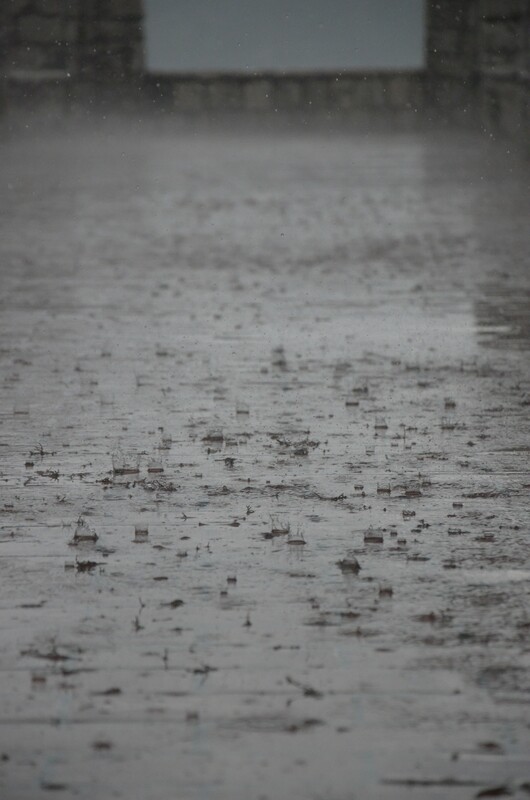 I heard the steady drip of the rain on the deck and the students started to shuffle. 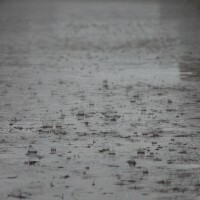 I reminded me of camping; when the rain starts all you want to do is stay in your sleeping bag. By morning, the first front had past and we had breakfast under the tent. During the break in the rain, we took the opportunity to hike up to the national park. It was great. The park is located in the center of the island where a series of lakes have ruins of an ancient monastery and ruins going back to roman times. The park has a ferry and takes you around to the various sights. As we hopped on the first boat I looked at the crew. They had now passed a mark. 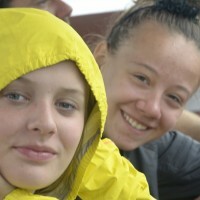 We were all a little tiered, the rain was coming down and we sat on the boat with a certain sense of accomplishment. You could see it on their faces. This was the time when I realized the crew was coming together. Everyone was sitting quietly on the boat totally comfortable in their place looking at the sea and sky as the boat moved through the water. When we arrived at the monastery the rain started coming down. 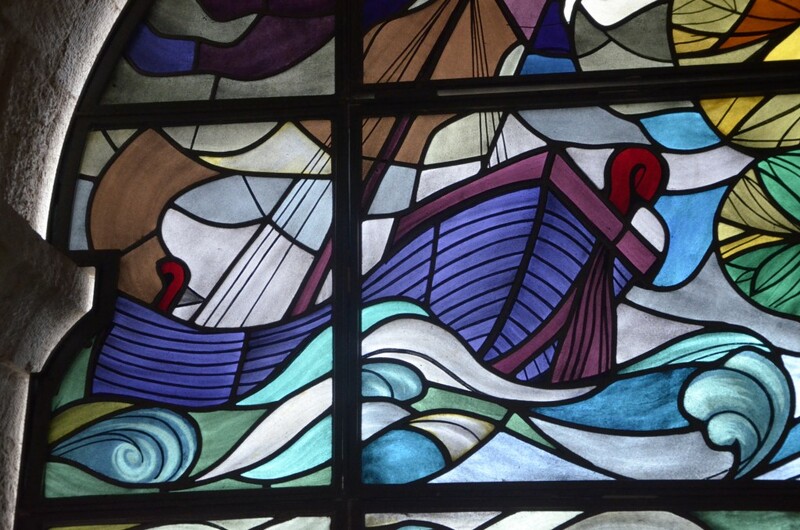 As we wandered the halls of the ancient monastery and looked at the stained glassed windows and frescos on the wall rain turned to hail and it made me very happy that we were in a big stone building rather than on the sea in a small wooden boat. 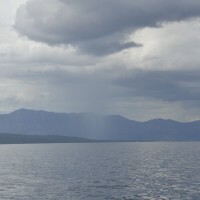 By the afternoon the storm had passed we loaded our gear into the boat, put a reef in the main sail and left the harbor. 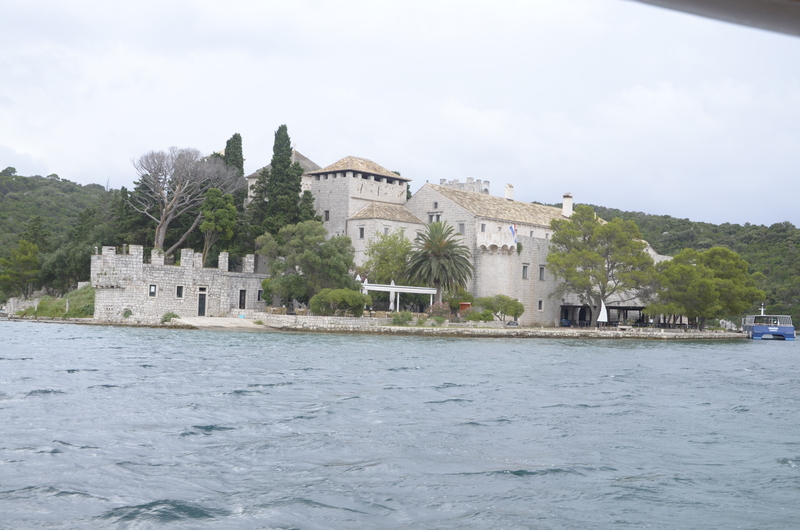 The sea was still a bit unsettled but the wind was nice and we set sail for the ancient village of Ston.